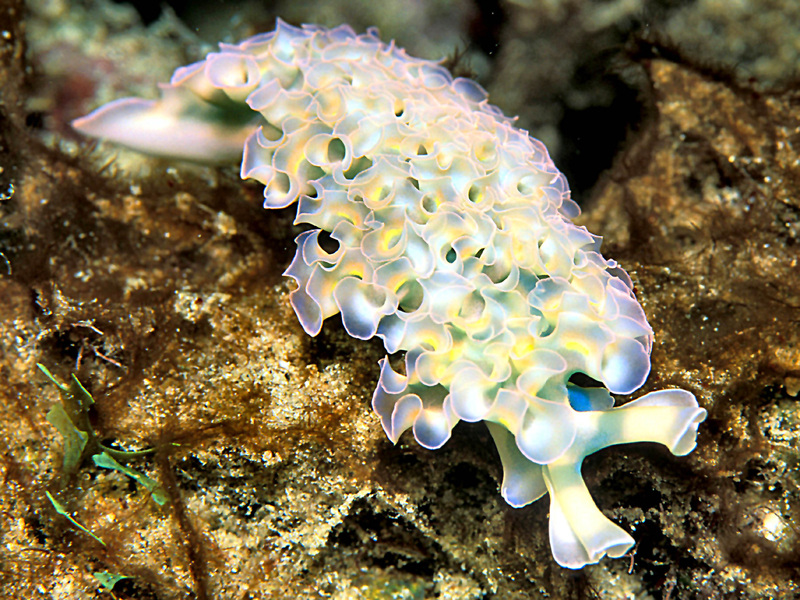 A lettuce sea slug photographed in the waters off of Curacao's Playa Forti. This species is probably the Caribbean's most common type of Nudibrach. It's really nothing more than a marine version of a garden slug (only wearing tuxedo frills). I used a 105mm macro and full 100J strobe. Want a closer look? Zoom to full size!